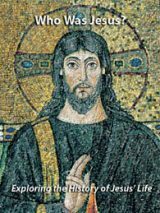 This free eBook provides the cultural contexts for the theology of Paul, the apostle who shaped the beginning of Christianity. 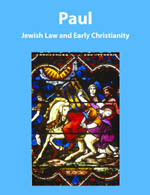 Download Paul: Jewish Law and Early Christianity and start receiving Bible History Daily — both absolutely free! Learn how Jewish traditions and law extended into early Christianity through Paul’s dual roles as a Christian missionary and a Pharisee. In this publication from BAS, top Biblical scholars examine the controversial role of Jewish law and tradition in early Christianity. 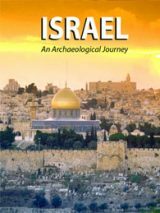 While Christianity was open to both Jews and Gentiles, some contended that converts had to first become Jews in order to become Christians. Others considered the outward signs of Judaism to be unnecessary for Christian life. Paul, the apostle who wrote much of the New Testament, discussed the role of Judaism among Jesus’ followers in a number of his letters. Although Paul preached justification on the basis of faith in Christ, he was himself a Pharisee and addressed the role of Jewish traditions and the status of Israel in the new covenant. “Paul’s Contradictions: Can They Be Resolved?” by Princeton professor John G. Gager looks at how Paul seems to be at war with himself on the subject of Israel. Is there a way out of his contradictions? Yes, the author argues, but only if we first get past misconceptions about Paul that date to the earliest stages of Christianity—even to Paul’s own times. “Laying Down the Law: A response to John Gager” by Ben Witherington, III, professor at Asbury Theological Seminary, explores whether Paul preached the gospel of Jesus Christ for Christians alone—as John G. Gager proposed in Bible Review—or whether his message was intended for both Jews and Christians. “Paul, ‘Works of the Law’ and MMT,” by Martin Abegg, professor and codirector of the Dead Sea Scrolls Institute at Trinity Western University, Canada, examines how the Dead Sea Scroll known as MMT is valuable in helping us to understand the theology of Paul. Abegg suggests MMT may represent—for the first time—the “works of the Law” decried by Paul in his letters to the Romans and Galatians. 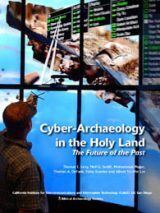 We’ll send you a link to download your copy of Paul: Jewish Law and Early Christianity and offer you a FREE registration to the Bible History Daily newsletter, bringing the world of the Bible and archaeology directly to your inbox. Your FREE registration to Bible History Daily introduces you to community discussions on fascinating topics like the Dead Sea Scrolls, top Biblical archaeology discoveries, ancient Israel and Easter. Paul at Romans 9:3 was very upset with respect to his fellow Israelites who had not accepted Jesus Christ, he even said that would swap his position as a Christian, for their belief in the Law, just to save them, even at the risk of his own life…………….he really exemplified what Christian love was all about. True, Saul (Paul) was a pharisee, he trained under Gamaliel, (Acts 22:3), and he had a real hatred for Christians, (Acts 7:57 – 8:1; Acts 9:1; Acts 8:3; Acts 26:10), but, he converted to Christianity, (Acts 9:9-19). Paul taught that Christians were no longer under the Mosaic Law, he even considered that old Law as refuse. (Philippians 3:4-8, 15; Romans 10:4; Romans 7:6; Ephesians 2:13-15; Colossians 2:13, 14; Colossians 2:16; Galatians 4:10, 11; Acts 15:28, 29; Galatians 3:19-25; Galatians 4:4, 5). This is probably sufficient to enable one to see that as Christians we are no longer under that Law………..but, a study of that Law is very interesting and we can find value in the underlying principles of that Law and they were a trustworthy guide to the Israelites who were under that Law, until Jesus fulfilled the Law. At Romans 11:13 Paul said that he was an apostle to the nations, although he also taught the Jews in the nations that he went to. Although Paul (Saul) was a Pharisee, taught by Gamaliel before his conversion to Christianity, he only then taught the Christian way of life, he had no conflict in that regard…….in his letter to the Hebrews or Jews, he explains in detail how Jesus fulfilled the law and that they were no longer under it……..as we are no longer under that law either………because Jesus sacrifice was a perfect sacrifice…….Romans 10:4 tells us that Jesus put an end to the law (Mosaic Law)…..see Romans 7:6; Colossians 2:16; Acts 15:28, 29; ……and Ephesians 2:13-15 tells us that the law was abolished, and at Galatians 4:10, 11 he strongly counselled some who had failed to grasp, what being a Christian meant, as they were still trying to follow the old law. Paul used to teach Torah or the Mosaic Law……when he was a Pharisee……once he became a Christian, he no longer taught or followed the Law, because he knew that the Law had been fulfilled by Jesus Christ……no other human could come near to fulfilling the Law because it was perfect, and all mankind is imperfect……..Jesus managed to do this because he was a perfect human. The last festival under the Law was Pentecost 33 CE………from then on, Christians were no longer under that Law. At no time did any of the apostles demand Christians keep the sabbath, or for that matter, any other part of the Law that Jesus fulfilled at his death. At Philippians 3:5-10, Paul first says that when he was a Pharisee under the Law he persecuted Christians; but, on becoming a Christian, or follower of Christ, he felt the Law was refuse.and a loss. At Romans 10:4 Paul said that Christ was the END of the Law. Paul also pointed out at Galatians 3:19-25 that the Law was given to make sin or transgressions manifest and the Law was a tutor, or teacher, leading to Christ. and once he came and offered his life there was no longer a need for the Law. Galatians 4:4, 5 says that God sent his Son, who was under the Law, that by his death he would release those who were under the Law. The letter that Paul wrote to Hebrews is also very interesting where Paul points out that many of the sacrifices under the Law were done away with. It seems to me that Paul mentions theses point to nearly all the Christians in Asia Minor, Greece and Rome. May I be respectfully ask if you still carry out the sacrifices required under the Law? Would you please direct to any scriptures that tell us where Christians were/are still making sacrifices under the Law………maybe Paul did……and maybe I missed it. My apologies, if I sounded a little facetious, I didn’t mean to be. where he says circumcision is is nothing and uncircumcision nothing, but being obedient to God’s commands was important……..and in the preceding verse he clearly stated that if a man had been called and he was not circumcised, he did not have to get circumcised. Paul does not contradict himself. He hates Judaism and declare himself an Israelite (one who struggles with God). There is no Judaism in his message of “Justification.” He shows the separation between the Law of God and the bogus “laws of oral tradition.” The one who has the gift of faith to believe that Jesus Christ is the only righteous son of God will please God in Law keeping not for salvation in the life after physical death but to stay alive to proclaim the Gospel in this life. Paul’s message is clear to the believer: the fulfillment of the Law of God is in Christ alone and put to our account, not infused, when we believe. Paul was a Pharisee and an expert in Jewish Law, who trained under Gamaliel who was a member of the Sanhedrin, until his conversion to a Christian. Acts 9:3-8. From then on, Paul certainly did not promote anything to do with the Mosaic Law, he was well aware that Jesus death was the fulfillment of the Law and it was thus done away with. Paul, under the inspiration of the Holy Spirit, wrote as though our Lord was speaking, and particularly in defense of the Gospel. The Gospel presupposes the “righteousness of Christ alone plus nothing.” This must be our interpretive principle for the entire Bible, all 66 books. This being stated, there will be no confusion between Justification and sanctification. Any form of our sanctification in life will never justify, or become a basis for justification. This is what Paul’s message, as has been the message of all believers since the time of Adam. Confusion on this issue arises when our flesh is trying to establish our own “justification” before God. Amazingly obvious is the lack of spiritual discernment people calling themselves “Christians and Jews”…. God’s Law is Universal Law. It took me awhile to figure out, but I would be very interested to get your take on Paul’s life, all his transformations as he became more wise in the Holy Spirit. So, did any of you “experts” actually read the 27 books that make up the “old testament” or the 4 “gospels”? Then read Paul. Then read Peter. Then do it again. Quit bickering and get out and proclaim the Good News! Come fare per scaricare l’E-Book in italiano? Rick, I’m sure you’re looking at it from a Christian perspective; from a Jewish perspective, worshipping Jesus as a god is definitely a foreign god; likewise, Trinity, original sin, baptism, and many other things are not native to Judaism and therefore foreign. That’s why I say Paul created his own religion, since Jesus, as far as I know, preached none of those things. Unless your point is that Judaism and Christianity are identical, it’s a new religion and Deut 13 stands. I completely agree with your thoughts on the trinity, however, to say that original sin & immersions are not native to Judaism is simply not accurate. There are differing opinions on the topic of original sin within Judaism but it is most definitely there. Look it up in the Jewish Encyclopedia. Paul, not as seen by Christianity but as seen by the scriptures, was completely Torah observant and taught this everywhere he went. Christianity has destroyed his image and reputation but the true Paul would never teach anything but Torah and Judaism. Pure and simply, the original sin was disobedience to God. Adam and Eve were told not to eat fruit from the tree in the middle of the garden ‘the tree of knowledge, of good and bad’……….but, what did they do……..they ate from it……bringing death to all mankind. If you have a different thought on that, I would certainly like to hear it. Provided, of course, you use the Bible in your explanation. Ephesians 2:13-15; Colossians 2:13, 14; Colossians 2:16; Galatians 4:10, 11. David nailed it, so I don’t have to repeat it. On 11-18-14 David said that Paul founded his own religion. This is a false statement. Paul preached Yahoshua the Christ and Him crucified, 1 Co 2:2. But the natural man does not receive the things of the Spirit of God, 1 Co 2:14. Therefore, you fail to fully appreciate Dt 13 because Paul was not enticing anyone to pursue a foreign god, Paul was explaining more fully the one true God, the One Who gave this command in Dt 13. Billie:: can’t say the same for you. 1. Paul in no way whatsoever “converted Jews and Gentiles to Christ” I.e. Wherefore my sentence is, that we trouble not them, which from among the Gentiles are turned to God: But that we write unto them, that they abstain from pollutions of idols, and from fornication, and from things strangled, and from blood. 21. For Moses of old time hath in every city them that preach him, being read in the synagogues every sabbath day. (‭Acts‬ ‭15‬:‭19-21‬ KJV). VERSE 21 IS A “PROOF TEXT” that SHAUL/PAUL WAS EXERCISING WHAT HE PREACHED IN ROMANS 11——-THE GENTILES WERE GRAFTED INTO ISRAEL. You won’t hear that verse preached because it messes with their greek mindset taught in semminaries. Billy, you flatter yourself that you know what Jews see and don’t see. If you yourself weren’t blinded by the supercession dogma you’ve been taught, you would understand that Jews are following a law given to them by God Himself, and that we were never authorized to leave it to follow Paul when he founded his own religion. In fact, Deut. 13 specifically says not to. So don’t put yourself above that. You just do not get it, do you David, Paul after his conversion, professed and taught Christianity, or to be a follower of Jesus Christ..You obviously do not believe, that after Jesus’ death, the Mosaic Law was no longer. Read what Jesus said at Matthew 21;42, 43 that the Jews had rejected him, therefore what they had under the Law was gone. At Romans 2:28, 29 Paul said that the Jews who believed in the written code, (Law), was not a spiritual Jew……..A spiritual Jew had the teachings of Jesus in his heart…….NOT the Law. Galatians 6:15, 16; Galatians 3:26-29; Acts 4:11, 12; Galatians 3:27-29. At Matthew 23:37, 38 Jesus criticises the Jews and tells them that their house, (the Jewish system) is abandoned, or done away with…..they had even persecuted and murdered some of God’s prophets – Just look at the history of the Jewish nation under the Law………the Hebrew scriptures are full of the accounts of how the Israelites failed to keep the Law and chased after foreign gods, etc., etc. God forgave them so many times…..but, eventually, God said, ‘enough is enough’ and finished completely with fleshly Israel and the Law……..and set up what Paul called the ‘surpassing way’ of love. 1 Corinthians 12:27-13:4 That’s what Christian life was meant to be; love of God, love of Christ and love of neighbour…….NOT the defunct Law. I enjoyed reading Gager and Witherington. From my perspective, Gager makes a very good point in saying that 20 centuries of “theology” (re: theologians and scholars) are wrong. I agree. This is a simple matter of POLITICAL CORRUPTION, and lack of manliness in males (re: compromising ethics/morals for $, position, emotion, etc.). However, Gager makes a few glaring errors, which he obviously adopted from the “Jews”, probably for political reasons. IMO, Witherington addresses Gager’s “theological” shortcoming, which is Gager’s promotion of the old worn-out Jewish idea that God requires gentiles to obey a different law than He requires of Jews. That is very old “rabbinic” ideology, and is opposed to the apostolic teachings. Peter Tomson offers a viable solution to the apparent “contradictions” in Paul in his book , “Paul and the Law: Halakah in the Letters of the Apostle to the Gentiles”. The part that’s worth reading is his chapter on anti-idolatry halakah in 1 Corinthians. He too makes the error of an apologist for the Jewish/Gentile tensions, by compromising Biblical truth. Also, it’s puzzling that he failed to address the term “halakah” in it’s NT Pauline Greek synonym “peripateo”. In any case, Tomson’s solution to the Pauline “contradictions” is that Paul used 2nd Temple halakah when necessary to make relations btw Jews and gentiles amicable in the “church”, so that neither would case the other to violate their knowledge of righteousness, which would case them to sin. It was a matter of community relations. Even without knowing about “Jewish halakah”, the Biblical text clearly reveals that community relations is the obvious issue w/Paul most of the time, when he is not otherwise dealing w/political attacks from Israeli bureaucrats. He does a very nice job of laying out the supporting texts for his assertion, and they are convincing, b/c they are supported by categorical textual evidence. By not quantifying what he means by “the Law”, “the gospel”, and “grace”, Witherington fails to give his assertion meaning, and is therefore not convincing. Romans clearly shows that Paul NEVER “laid down the Law”. Instead, he promoted membership in God’s kingdom IN CHRIST instead of citizenship in 2nd Temple Israeli HUMAN JURISDICTION. Both are based on Mosaic law. The former is predicated on a different administration: the indwelling Holy Spirit teacher and apostolic commandments/halakah; whereas the latter is steeped in legislative halakah and elaborate and expensive government proceedings. Basically, Paul was finished w/political corruption, legal injustice, and oppressive government. That’s the bane of ALL human government systems. Today’s America is a perfect example of this. Paul was “laying down human government”, which happened to be 2nd Temple Israel at the time of his writing. However, Paul NEVER “laid down the [Mosaic] Law”, as is obvoiusly evidenced in the beginning chapters of Romans. So, what did Paul actually promote? Paul “preached” citizenship in God’s government “in Christ”, instead of citizenship in 2nd Temple Israel. “The gospel” was the message of citizenship in “the body of Christ” where all the life-giving blessings resided. The alternative was citizenship in 2nd Temple Israel, where taxation and oppression ruled the day (“They tie up loads upon your backs, and are unwilling to lift a pinky finger to help.” – a reference to legal burdens). Bad government is ALWAYS bad for good people who obey God’s Law. Good government is good ONLY for those who love God and obey His Law. Those are sacred propositions. That was the heart of Paul’s message. He promoted “good government for the righteous” b/c they were in God’s jurisdiction via Christ. 7. The community “fellowship of believers”. The ONLY way to understand the entire Bible, is to look at it from a POLITICAL & LEGAL viewpoint. Only then can we understand the issues. That is why the anti-idolatry halakah section of Peter Tomson’s book is such a good read. Once a person sees the actual law involved, he begins to form the correct picture in his mind about the historical setting and the real-life issues. Apart from reality, the text is nothing more than mental fantasy which “scholars” and “theologians” invent in order to collect a paycheck and receive accolades. The best starting point to understand THE FUNDAMENTAL element about “government” is Frederick Bastiat’s, “The Law” (http://bastiat.org/en/the_law.html). Until Christians understand from a pragmatic perspect that the ONLY purpose for “the law” is DESTRUCTION, they will never understand Paul. Nor will they understand the rest of the Bible. The KEY to distinguishing between God’s kingdom in Christ and ALL OTHER HUMAN GOVERNMENT SYSTEMS is understanding that single point: “The law” can only DESTROY. Paul treats that subject in 2 Cor 3, calling it “the ministry of death engraved on stone”. In contrast to “the law” is “the ministry of the Spirit”, or God’s kingdom in Christ. What proves his point that 2nd Temple – and all other human governments – are destructive, and God’s kingdom is “life-giving”? The most notable are “the gifts of the Spirit”. The next is the lack of need for “law enforcement”. The other is the community unity based on proper knowledge of God’s LAW, and on personal and family application of it (= personal/family halakah). The difference between human government and God’s kingdom is simple: LAW ENFORCEMENT vs. SELF-REGULATION. Thus, the Mosaic law/administration can only condemn (viz., Romans 1-8). The same is true of ALL gentile government systems. Paul’s primary message is FREEDOM FROM HUMAN GOVERNMENT SYSTEMS (1 Ti 1.8-11). That included BOTH 2nd Temple Israel (his national citizenship) AND all gentile governments. Where do you think the “persecution” originated? Out of thin air? Obviously it came down from government bureaucrats. Why? B/c the apostles (and Chrsit) taught the people about the superiority of God’s government system, in contrast to the corruption and oppression of human government systems (“… the rulers of the gentiles lord it over them …”). Paul’s message of “liberty from ‘the law'” was a message telling people that God provided a remedy to get them out from under human government jurisdiction of 2nd Temple Israel, so they could get into God’s jurisdiction in “the body of Christ”. It’s that simple. No more government privacy violations, licensing, registrations, fiat money, wrongful taxation, social welfare, political corruption, etc. In God’s jursidiction there is no condemnation (Ro 8.1ff). Why? B/c like in Leviticus, the whole covenant congregation operated on the presumption that each and every person had the intent to know what God’s law was, and to obey it. GOD’S LAW IS QUITE A DIFFERENT THING THAN 2nd TEMPLE HALAKAH. That is where, today, everybody’s ignorance in this matter results in them jumping to unfounded conclusions in their “theology”. This information is “law 101”, and Christians are desperately ignorant of these vital ‘teachings’. Why? Look into “The Reese Committee” and see who engineered American thinking and social institutions from the top down. The answer is POLITICAL CORRUPTION via “coin and currency” by those who control the financial systems of this world. Christians and Jews should be the first to object to the slavery involved (violates Le 25), and should, like Paul commanded in Eph 5, be exposing it in every venue, to every person, by every possible means. Yet, they are dull and stupid due to taking the path of least resistance. This should not be. Let’s make an effort to look at the Bible from a POLITICAL AND LEGAL viewpoint from now on. And let’s be honest w/the text and its applications, even if doing so will cause us to fear the consequences, were we to put them into action. Let’s not be found by Lord YHWH to be one of them! I appreciate the find that Paul Abegg made in MMT: “works of the law” links to MMT via LXX/MT. Stick to the facts, and not be so quick to jump to unfounded theological conclusions. I refer to his ‘interpretation’ of Paul’s “works of the law” in terms of modern evangelical, post-reformation theology. From my perspective, the error in the interpretation lies in Christian writers’ thinking that Paul is writing from a “religious” perspective. I wish they would begin to properly view the entire Bible as a book of POLITICS & LAW, and forget about “religion”. Modern industrial-military governments may hold to a legal policy of “separation of church and state” (which means taking morality out of government! ), but 2nd Temple Israel certainly did not hold to such a ‘doctrine’. Paul was writing as a former government officer, and he was writing “legal opinion”. For a better look at some if Paul’s connects to law, read Peter Tomson’s book, “Paul and the Law: Halakah in the Letters of the Apostle to the Gentiles”. Pay attention to the statements about “anti-idolatry halakah” in 1 Corinthians. Then consider the term “halakah” (from HLK in Hebrew) and Paul’s profuse use of the term “peripateo” (in Greek). There you have the “law” nexus in Pau. Simple for even a child to see. Viewing Paul in that light casts a very different shadow on the meaning of “works of the law” in Paul. In Abegg’s words, the resulting “theology” would be truly “revolutionary”, b/c it would apply today to the all our industrial-military nation’s oppressive, over-reaching, administrative government systems. Imagine the result of all western Christendom saying “no” to administrative government meddling in their private affairs?